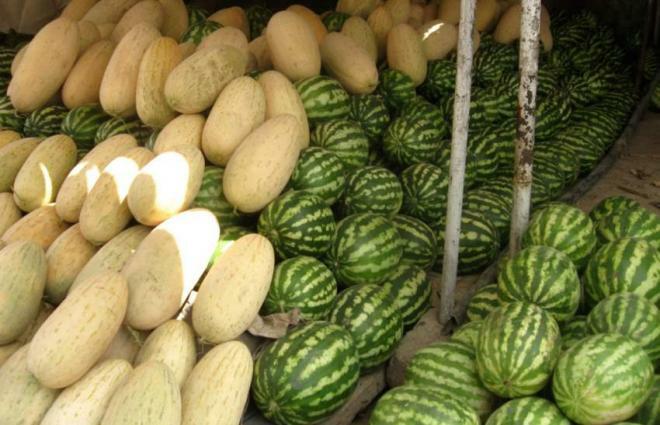 ISLAMABAD, (UrduPoint / Pakistan Point News - 17th Apr, 2019 ) :The sale of 'melon' a summer-specialty, is witnessing a surge in sale as price of the juicy fruit is less than other summer fruits. The season of melon starts from the beginning of March and goes on till July. Its musky aroma itself is enough to pull one towards the fruit sellers' cart. A shopkeeper Muhammad Basit said melons are consumed as cool, refreshing, healthy snacks in hot summer days and all melons are packed with nutrients that give us many health benefits. A housewife Zainab Mukhtar said there are many interesting ways in which melons can be consumed including cold soups, in fruit yogurts, fruit salads and juices. A fruit seller was of the view that melons sale would further rise during the holy month of Ramzan. Hashmi Syed a customer purchasing melon in fruit Market, said everyone can easily afford it due to its economical price. According to health Physicians,melons are a powerhouse of health; they are loaded with so many nutrients. They are abundantly available in the summer season and have a high percentage of water content that keep body hydrated. Eating a melon increases flow of oxygen to the brain which helps in keeping the brain calm and stress-free. It is also rich in potassium which helps maintain weight.